Would you like to soon be able to execute a Lean Six Sigma project from start to finish? You can make it happen by participating in our Lean Six Sigma Green Belt training. During this 6-day course, you will learn how to apply the Lean and Six Sigma tools. You will also find out how you can subsequently implement the resulting changes in your organization. During this detailed training, you will first find out about the backgrounds of Lean Management and Six Sigma and how these two methods reinforce one another. We teach you all the most important tools from the Lean Six Sigma toolbox and you get to actively use them yourself. We supplement this training with a variety of Lean games and videos, as well as a practical simulation. This immediately demonstrates the theory in practice. It is very important that improvements are implemented and accepted by management and employees alike. For this reason, we pay plenty of attention to the topic of change management during this Lean Six Sigma Green Belt. The training has been compiled according to the 5 steps followed during a Lean Six Sigma project: Define, Measure, Analyse, Improve and Control (DMAIC). How do Lean and Six Sigma reinforce one another? Who is Lean Six Sigma Green Belt training aimed at? Lean Six Sigma Green Belt training is specifically aimed at prospective Lean Six Sigma project managers. We deliberately present the training to a combination of non-profit and for-profit participants. This results in fun and useful discussions and the sharing of information during the training. Many freelancers also participate in our Green Belt training to improve their expertise as interim employees. How long does this Lean Six Sigma Green Belt training take? The duration of this training is 6 days divided into three 2-day sessions. Homework assignments are issued to be done between sessions. These assignments are then reviewed by the group as a whole. Do you have any questions about the Lean Six Sigma Green Belt training? Please contact us by calling 030 227 0000 or info@bureautromp.nl We will gladly get you started! 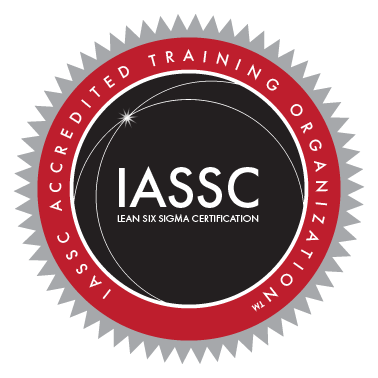 Bureau Tromp is an official Lean six Sigma Green Belt training organisation accredited by the IASSC. Lean Six Sigma Green Belt training is presented by our experienced Lean Six Sigma Black Belts. They will use plenty of practical examples to explain the theory of Lean and Six Sigma. Through the use of simulations and exercises, you will learn how to put this Green Belt theory into practice. At the end of the training, you will undergo a theory examination. Once completed, you will receive your official Lean Six Sigma certificate. Participation costs amount to €2.950,- per person (exc. VAT). This includes all training materials, theory examination, official Lean Six Sigma Green Belt certificate and conveniences (lunches, refreshments, etc.). Would you prefer in-company Lean Six Sigma Green Belt training? No problem at all. We will gear the Green Belt programme towards your organisation and your specific requirements.